Is this the end for Toy Hunter? I remember getting a call one Saturday afternoon from this guy who wanted to tell me about his new TV show that was in production, and he wanted to get my opinion on the rough cut of the pilot episode. Sure, why not. At this point, I had no idea who Jordan Hembrough was, but after watching the show, I knew that he was a kindred spirit, who revelled in the thrill of the hunt, … [Read more...] about Is this the end for Toy Hunter? 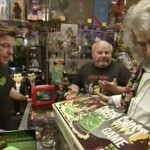 Toy Hunter returns with a Halloween episode on Oct. 20! Doesn't it seem like it's been a loooong time since Toy Hunter has been on the air? Well, we're in luck because the Travel Channel will show a special Halloween episode this Sunday. 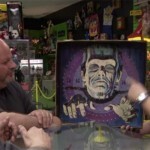 Here's a clip from the show where Jordan and Steve visit a toy museum in Salem, Massachusetts with a vintage piece of Universal monsters goodness... I can't wait! … [Read more...] about Toy Hunter returns with a Halloween episode on Oct. 20! 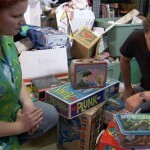 Come on get happy–Toy Hunter is on tonight! So, who's been watching Toy Hunter this season? I've caught every episode and the host, Jordan Hembrough, has really uncovered some gems. I especially enjoyed the episode with the Eternia playset and Buck Rogers vehicles. 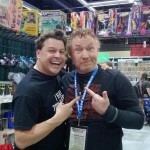 If you do watch the show live, log in to Twitter and follow the hashtag #toyhunter. Jordan is usually live tweeting with the fans, which makes it a lot of … [Read more...] about Come on get happy–Toy Hunter is on tonight!